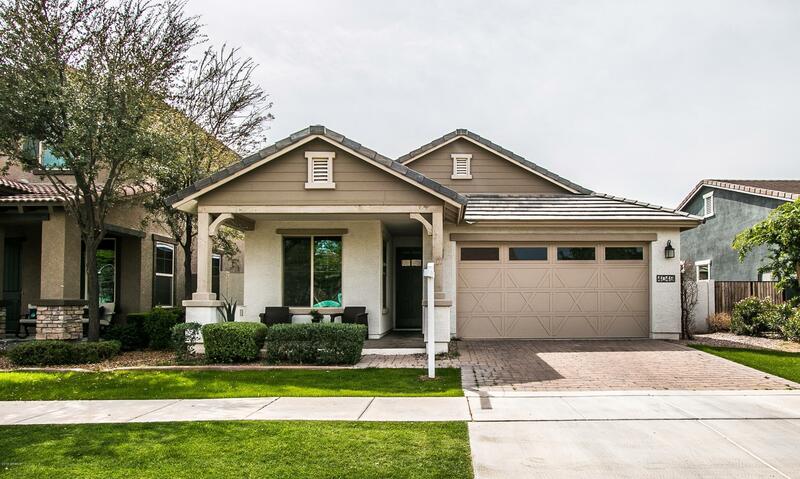 All ELLIOT GROVES AT MORRISON homes currently listed for sale in Gilbert as of 04/19/2019 are shown below. You can change the search criteria at any time by pressing the 'Change Search' button below. "UPGRADES! 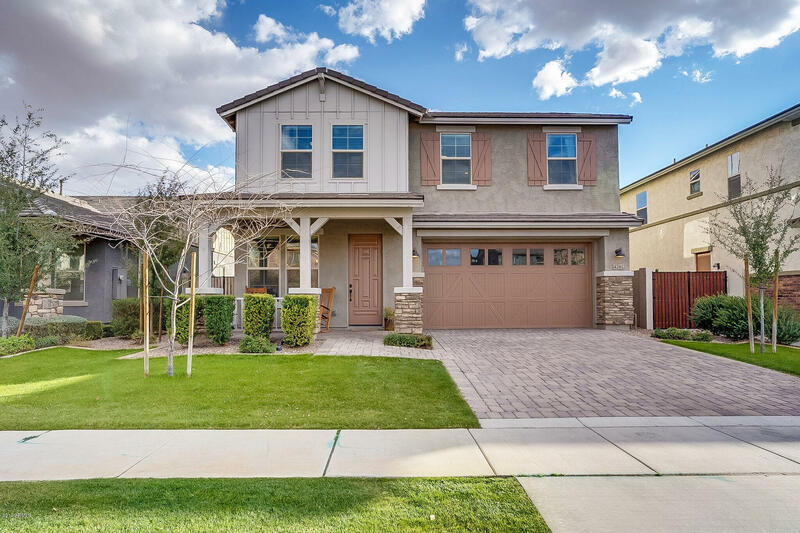 Don't miss this highly customized home in Elliot Groves of Morrison Ranch! Recently built in 2015, this home features a beautiful modern kitchen with extended white cabinets & white marble-look Silestone countertops. Enjoy the chef's kitchen with professional grade 6-burner gas stove, double oven, & huge 33'' stainless steel apron-front sink. The kitchen opens to a spacious family room & overlooks the lush landscaped backyard. 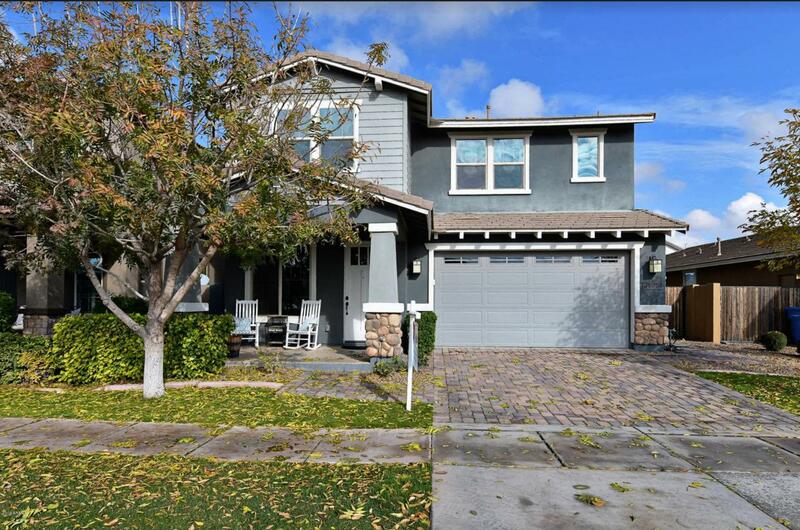 The yard has soft artificial turf & a play pool with fine P"
"Lovely home with great upgrades! A neutral palette, coffered ceilings and stunning hardwood flooring are only a few of this homes features! Living room built-ins and cozy fireplace create that ambiance on those cool valley nights. The spacious master offers an ensuite of double vanities, separate tub/shower and a large walk-in closet. Wood plank tile gives that extra touch of class. This gorgeous kitchen boasts granite countertops, walk-in pantry and stainless steel appliances. 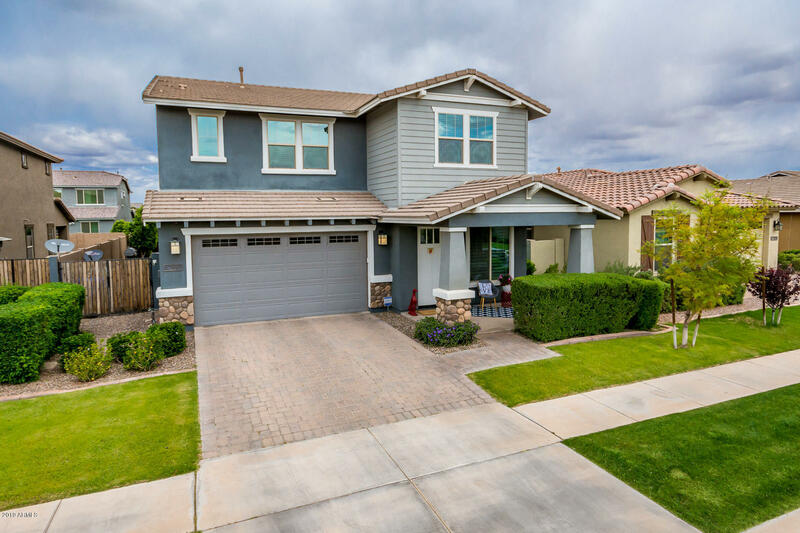 Light custom "
"This 5 bedroom Gilbert home is located in Elliot Groves at Morrison Ranch. Excellent curb appeal sets the tone for what waits inside. With over 3400sf, a great room, formal living space and a huge loft, this home is extremely spacious. The eat-in, island kitchen boasts abundant espresso cabinets, stainless steel appliances and a walk-in pantry. Upstairs, the large loft provides a great area to relax. The master suite features a giant closet, his and hers sinks, a vanity and separate shower and "
"Tree-lined streets & white picket fences; Welcome to Morrison Ranch! 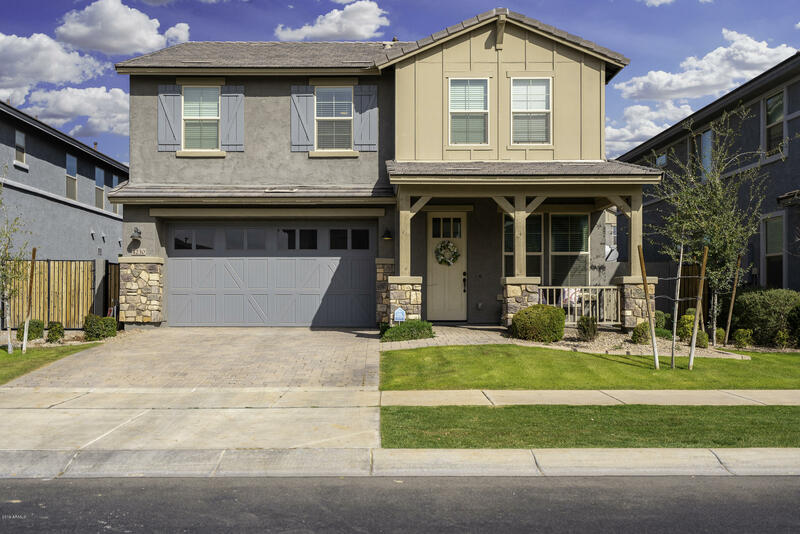 This 4 bedroom, 2.5 bathroom, 2391 sqft floor-plan has too many upgrades to list! Built in 2016! The kitchen features chefs hood, upgraded white cabinets, granite counters, custom backsplash, granite island, pendant lighting, wall oven, and stainless steel appliances. The kitchen opens up perfectly to the living room for entertaining. 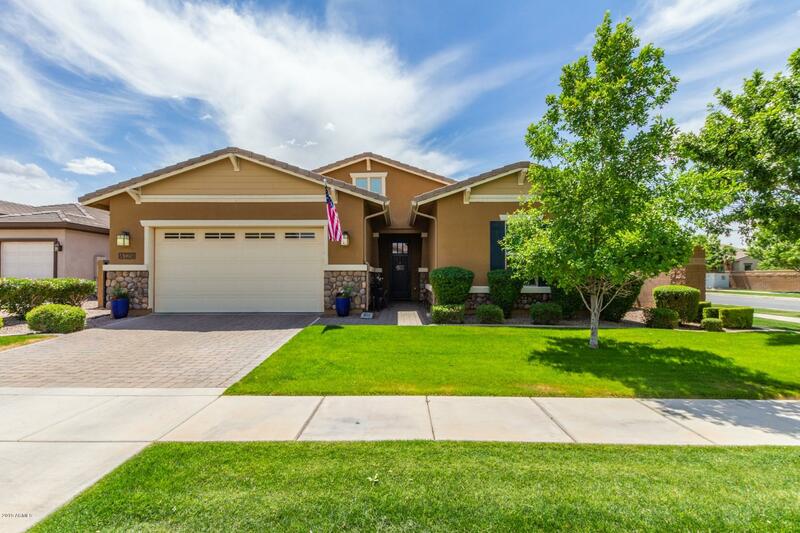 Upstairs: A large loft, Laundry room, 4 Bedrooms including a Large, tiled, master suite with H"
"Amazing previous MODEL home for sale in sought after Morrison Ranch in Gilbert!! This beautiful 3 bedrooms, 2 bathrooms, plus a den home will WOW you with so many upgrades: custom paints throughout the whole house, open den with built-in book shelves, mocha glazed maple cabinets, granite countertops with designer's backsplash in the kitchen, modern faux wood tile, industrial pedant lights, 7 1/4' crown moldings in master bedroom and den, pre-wired surrounding sound system w/ speakers in living r"
"Come see this beauty just steps from the greenbelt in Elliot Groves in the highly sought after Morrison Ranch Community. Open floorplan with wood looking tile in all the right places, Modern kitchen with white staggered cabinets, granite countertops, island, walk-in pantry and stainless steal appliances. Spacious family room on main level and upstairs are 4 bedrooms, full bath and a supersized loft. There is also a split master retreat with large walk-in closet, separate tub/shower combinati"